SUSTAINABILITY REPORTING: A SNAP LOOK! The sphere of economy has been characterised by capitalism where the soul aim of business is“business”. The feature of this phase of economy as be the of use of labour has machinery, little or no consideration for immediate environment as business believe that the only responsibility it has is to pay taxes and government is responsible with the “rest”. Hence, the financial reports are prepared based on a set of guidelines and rules (GAAP) to showcase the financial performance and return to the owners. Growing by the understanding that corporate organisations are responsible to wide range of stakeholders, especially the general public, the concept of sustainability was coined. 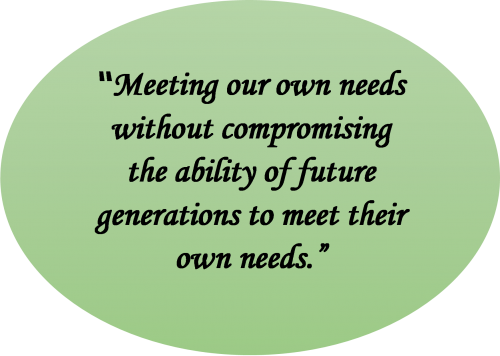 As defined by the World Commission on Environment and Development (1992), it is “a development that meets the needs of the present without compromising the ability of future generations to meet their own needs." In essence sustainable development is about five key principles: quality of life; fairness and equity; participation and partnership; care for our environment and respect for ecological constraints - recognising there are 'environmental limits'; and thought for the future and the precautionary principle". 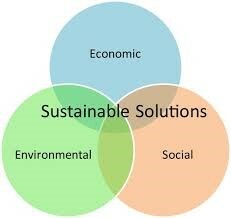 Sustainability was basically built on three pillars namely economic, social and environments. Ecological integrity is maintained, all of earth’s environmental systems are kept in balance while natural resources within them are consumed by humans at a rate where they are able to replenish themselves. Human communities across the globe are able to maintain their independence and have access to the resources that they require, financial and other, to meet their needs. Economic systems are intact and activities are available to everyone, such as secure sources of livelihood. From accounting point of view, the incorporation of sustainable effort of corporate entities in the financial statements is the main concern. In order to achieve this, a new format of account, sustainability report, was developed. A sustainability report is a report published by a company or organization about the economic, environmental and social impacts caused by its everyday activities. A sustainability report also presents the organization's values and governance model, and demonstrates the link between its strategy and its commitment to a sustainable global economy. 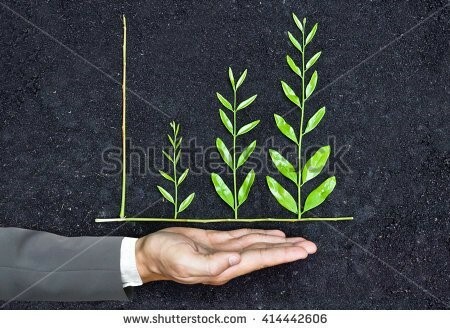 Sustainability reporting is a systematic presentation of financial and non-financial data in order to compare the present with past and progress concerning the predetermined yardsticks. While financial information is majorly drawn on the firm’s financial accounting system in line the enabling financial reporting standards and framework, non-financial information means that it is not presented in monetary terms and is not based on an accounting standard. Though, non-financial information can be both quantitative, such as tons (or units) of greenhouse gas, or qualitative, such as governance processes, the reputation of an organization or the organization’s impact on the state of biodiversity. Sustainability reporting has taken many different forms. There are stand-alone reports that can be published annually or biannually. Alternatively, sustainability reporting can happen via a suite of reports that are also published online. Although currently it is most common for organizations to publish environmental or social information in separate reports, there are also approaches that combine them with the annual financial report . Sustainability reporting can be considered as synonymous with other terms for non-financial reporting; triple bottom line reporting, corporate social responsibility (CSR) reporting, and more. It is also an intrinsic element of integrated reporting; a more recent development that combines the analysis of financial and non-financial performance. 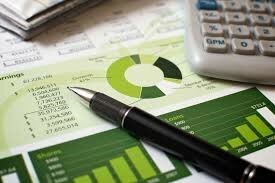 The advocators of sustainability reporting contended that disclosure offers reporting companies a wide spectrum of intangible benefits, such as employee loyalty and consumer reputation which could improve the financial performance of firms directly or indirectly. Transparency about non-financial performance can help to reduce reputational risks, open up dialogue with stakeholders such as customers, communities and investors, and demonstrate leadership, openness and accountability. Internal management and decision-making processes can be examined and improved, leading to cost reductions by measuring and monitoring such issues as energy consumption, materials use, and waste. Comprehensive analysis of strengths and weaknesses, and the engagement with stakeholders that is necessary for sustainability reporting, can lead to more robust and wide-ranging organizational visions and strategies. Importantly, companies can make sustainability an integral part of their strategies. Measuring sustainability performance can help companies to meet regulatory requirements effectively, avoid costly breaches, and gather necessary data in a more efficient and cost-effective way. Companies seen as leaders and innovators can be in a stronger bargaining position when it comes to attracting investment, initiating new activities, entering new markets, and negotiating contracts. [iv] Eccles & Krzus (2010).